Over the years I have seen and made a few logos. Some were successful, and some not so much. The “not-so-much” examples usually resulted from certain design elements being included based on a misunderstanding of what a logo is, and is not. I try to intervene, when I can, when I see a client heading toward some common (and understandable) pitfalls. What follows is my take on a guide to a successful logo: a compilation of what I hope are helpful tips, for quick and easy reference. Artists: Starving, and How Not To. After reading about a current dustup about a certain clothing design by Old Navy, It got me thinking about the term “starving artist”. It doubtless comes from the same wellspring from whence Old Navy’s shirt design originated. For those of us who try to make a living in creative fields, the usage of the phrase certainly runs counter to our efforts. I’m proud of those who stood up to Old Navy, but lately I’ve begun to suspect that expressions like these are merely symptoms of, rather than the origin of, this sentiment. Rather than coming from outside of the creative community, it more likely comes from within. First, let’s lump artists, designers, and all creative types under “Artist” for the sake of convenience, for the time being, as there are many fields of creative industry that suffer from this stigma. Now believe it or not, I’ve heard artists in different fields brag about starving. Well, not about starvation per se, but about how they worked 80 hour weeks, living off ramen and sacks of potatoes. This type of humble-brag may find it’s origin in the mystique of the stalwart avant garde, who must sacrifice life and limb for concepts that are so far ahead of the societal curve that they must wait for public opinion (and funding) to catch up. It may have come from nostalgia for the adventurous gauntlet of paying one’s dues in the difficult but heady days of art school. But these were Artists well out of school, with jobs, taking what would otherwise be seen as poverty and unacceptable labor conditions and making them a badge of honor. Maybe it’s just sour grapes in reverse, or penance for making even a little money doing something you like. If you even like it. These are the cartoon versions of some real life friends of mine, actually surnamed “Fox”, and their overly affectionate feline, Gandalf the gray…cat. They currently endeavor to leave our soon to be dimmed presence to render ministry of the campus variety to the students of MTSU through the organization known as CRU, in darkest Tennessee, not far from an old stomping ground of mine, actually. I suggested a comic strip to garner support by telling their stories in an engaging way, by using the above avatars of themselves to take advantage of what Scott McCloud calls “the masking effect” (look it up, it’s legit, and it works wonders for the Penny Arcade guys). If you are so inclined, pop over to their blog and render unto them love and support! This image is based on a very old sketch of mine. 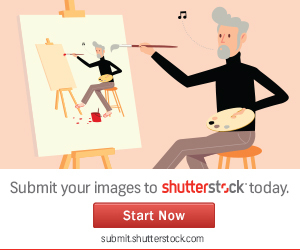 I’m finding microstock websites a good way to make old or unused work profitable, as well a way to get my illustrations in front of more eyeballs, perhaps leading to commissioned custom work. If you are solely interested in vector (infinitely scalable) stock illustrations, I also recommend toonvectors.com. 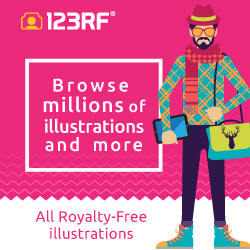 They offer a very fair royalty to their contributors, and good prices for buyers. Check them out! I wish GL Stock would get more attention, because they are a “fair trade” microstock agency. This means that they pay a 52% commission to their contributors, including extended licenses. So if buying buy fair trade coffee, clothing, or anything else is important to you, please consider also using a microstock agency that compensates its artists fairly. It would help us to continue to do, that voodoo, that we do, so WELLLLLL! This awkward moment is brought to you by a situation that is the inverse of the one discussed in my last post . Instead of wanting to walk away owning a picture, this person gives you the “elevator pitch” for a long term partnership, and they want you in on the ground floor. It could be a children’s book, a script they want storyboarded, a cartoon television series, or any other project that needs your artistic vision to succeed. But for whatever reason, they can’t pay you right now. Or, perhaps they can pay something, but not what the project would actually cost. You may also hear phrases such as these: “My company is a startup.” “I need your artistry to pitch the idea to investors/studio execs/publisher.” Batting eyelashes or a smoldering gaze can also be brought to bear. I’ve even heard tales of tantalizing artists with baked goods, which are awesome, but don’t fit so well into bill envelopes. It is known collectively as speculative work. The time and/or skill that was taken to create an image: The more skill, the more time, the more expensive. The artist is likely still making loan payments for what it cost to learn this skill (ahem). The cost of the materials required to make an image: This could be anything from canvas and paint to printing equipment, or even super-expensive computer equipment and software. Copyright ownership: Determining who owns the image outright can and should have a large effect on the images cost. Usage: If the artist maintains copyright, how it is used by the client will determine its cost. In my experience, Most clients don’t have too difficult a time understanding the first two concepts, but the third and fourth that gives a novice art buyer more trouble. I have had more than a few would-be clients cease to be interested in doing business when I mention a contract that defines copyright ownership and usage. In their minds, an image created by an artist should be like any other consumable good that they buy at the store. You buy a toaster, you take it home, it’s your toaster, no contract. Why should a purchasing an image be any different, especially if it’s “just a simple little drawing”? A client/friend of mine is working on a kid’s adventure novel about wizards and an alternate universe. He contracted me to illustrate the cover. I used Corel Painter with very basic settings to do the job. I’m in the process of developing a new personal style, and I hope this project goes a little way towards accomplishing that goal. Did I mention that I’ve been working with an (almost) full time contract client? I don’t usually blog-post images I create in my “day job” working for Rival Art, 1) because there are so many of them, and b) I barely get to spend any time on them. but in this case, I spent a LOT of time making this robot for a very discriminating client (he had me changing the rivets to hex-bolts at one point). At any rate, since I spent a lot of time making it look right, I thought I would post it here as an example of what I can do with such subjects. Click above to see the rest (from the waist down). For more of a daily log of my work with RA, check out my Twitter feed, which you can see on the right side of this page! Follow my illustration board on Pinterest!